Advantages: Complete one stop shop reference on the B-1B for a modeller. Hot on the heels of Osprey’s B-1B Lancer Units in Combat comes the latest Daco publication in their excellent “uncovering” series. 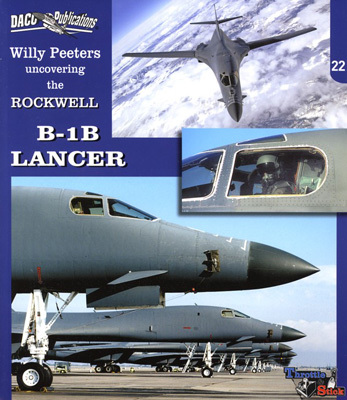 This volume is the second by Willy Peeters and covers in fantastic detail the B-1B Lancer. For those who have other Daco “uncovering” volumes such as the F-16 and F/A-18 volumes there should be no surprises what you will get here. 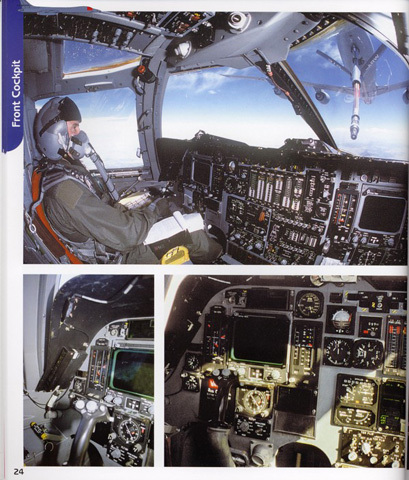 In 84 full colour glossy pages the reader is taken on a complete tour of the B-1B airframe from nose to tail and into the cockpit and weapons bay. Laid out in logical sequence the level of coverage of a very sensitive aircraft type is almost unprecedented. I know that we could never take our cameras into the cockpit of the B-1s operating with my old unit out of Amberley, yet here are some close-up shots of the flight station in all its glory. The action shot of a B-1 about to plug with a KC-10 taken from the co-pilots perspective has to be seen to be believed. 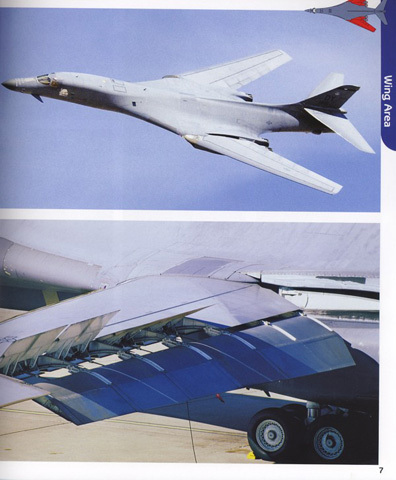 In addition to the airframe details, Peeters also provides extensive photographic coverage of the B-1’s warloads, including JDAMS, Mk82 and Mk84 Ballute and slick and also some bomb bay coverage with AGM-69 SRAMs and Mk61 shapes in situ. In fact if you are crazy enough to put a full war load into the bays of a Revell 1/48 B-1, then you need this as your primary reference. As final bonus a two page walk-around of the MHU-916M Munitions Handling Trailer is also include in case you want to go one step further and create a weapons loading diorama. Overall it is very hard to fault these comprehensive reference books from Daco. The photographs are large and clearly printed, accompanied by pertinent captions. If you are thinking of tackling a 1/48 or 1/72 Bone then clearly this volume should be your first port of call for reference. Thanks to Willy Peeters and Daco for the review sample.